Wikis are very simple, community-based pages that can be edited and viewed by members of a workspace. Wiki pages on iMeet® Central are created and modified using an Online Text Editor, which allows the pages to easily be edited in place with an editor that is capable of advanced formatting features. The first Wiki page you will probably notice in iMeet Central is the Wiki tab. 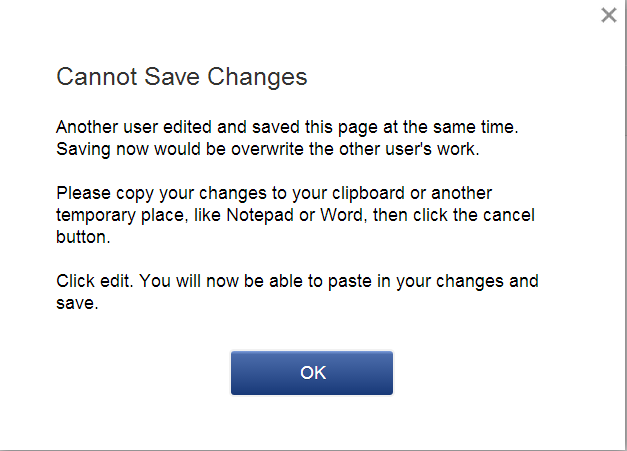 Click on the Edit This Page button to enter the online editor. Buttons at the top of the editor allow you to add styles to and format text, insert images, attach files, add application blocks, and more. Online Documents and Wiki pages are very similar in the way they are edited and displayed. Online documents appear in the Files & Discussions tab of a workspace and are not visible on public workspaces. Wiki pages do not appear in the Files & Discussions tab, but are accessible on public workspaces. 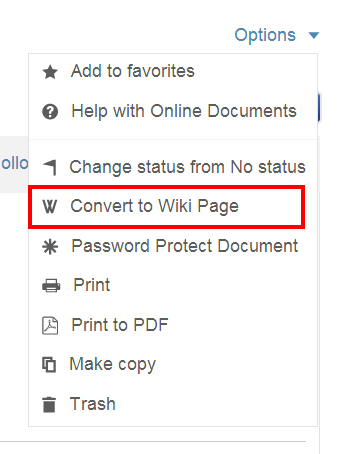 Wiki pages and online documents can be converted back and forth. Permalink: Creates a permanent link that can be shared to external users, will lead directly to that page. The link will not expire. Print to PDF: This option prints your Online Doc to a PDF, and prompts a download of the PDF. Trash: This option moves the Wiki to the Trash folder, from where it can be Permanently Deleted. Password Protect Page: When enabled, a password, that you specify, is required to access the Wiki. Note: Currently Print to PDF cannot be used to print wikis containing application blocks. Wiki pages can be organized via "drag and drop", as shown below. Comments: Click Add a Comment, and check Notify Subscribers to syndicate your comment via email. Version Control: Like all files on iMeet Central, online docs maintain a history of revisions. See the Version History Tab below the WIki page to see a list of previous versions. View a previous version in read-only mode, compare 2 different versions, or roll-back to a previous version. Audit Log: The Audit Log displays a record for each time a member views the Wiki page, or saves a new version.